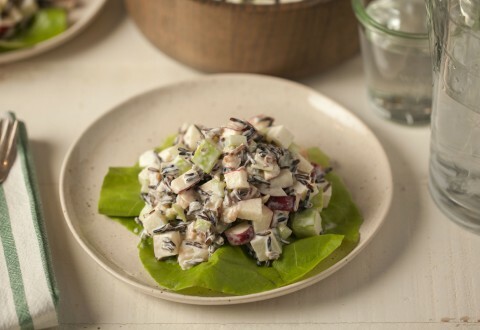 Combine pineapple, wild rice, apples, celery and walnuts in a large bowl. Stir reserved pineapple juice and remaining ingredients together until sugar is dissolved. Fold dressing into salad. Refrigerate, covered, several hours. Feel free to substitute your favorite apples!